Watch cat’s reaction when man gives him an optical illusion on paper… Now I can’t stop laughing! When YouTube user Ryan Kotzin gave his cat this piece of paper with some optical illusions on it for the first time, he didn’t know how his cat would react – Luckily he caught his cat’s hilarious mesmerized reaction all on video! This mesmerizing image is almost too much for the cat has he paws and does everything to figure out out – he’s quite puzzled to say the least and his face says it all – It’s SOO cute and funny all together! 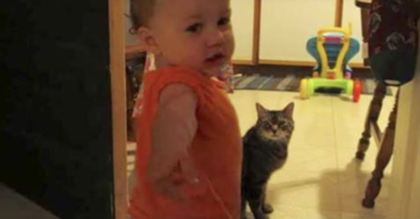 You’ve gotta see this cats reaction… SOO FUNNY. – Just watch the video! 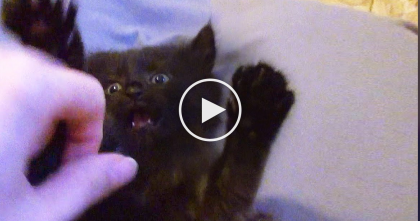 Watch This Sweet Little Kitten’s Response To A Belly Rub… Your Heart Will Melt, Omg!! 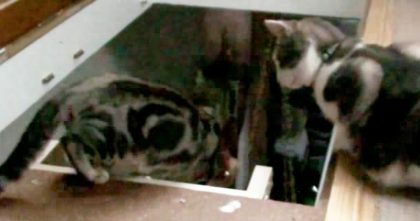 Evil Cat Sees His Friend Trying To Go Down Stairs, But Then Does The UNTHINKABLE… Just Watch! 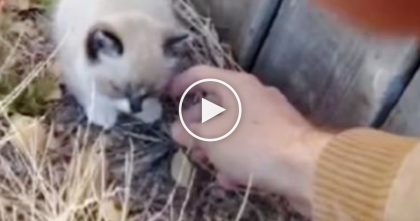 He Heard A Kitten Crying Outside, So He Traced The Sound…And THIS Is What He Found! 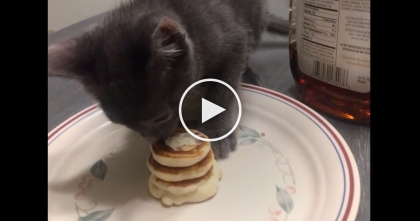 Girlfriend Left Kitten With Her Boyfriend, But Then… Just Watch, This Is The Cutest Idea Ever, Awww! !